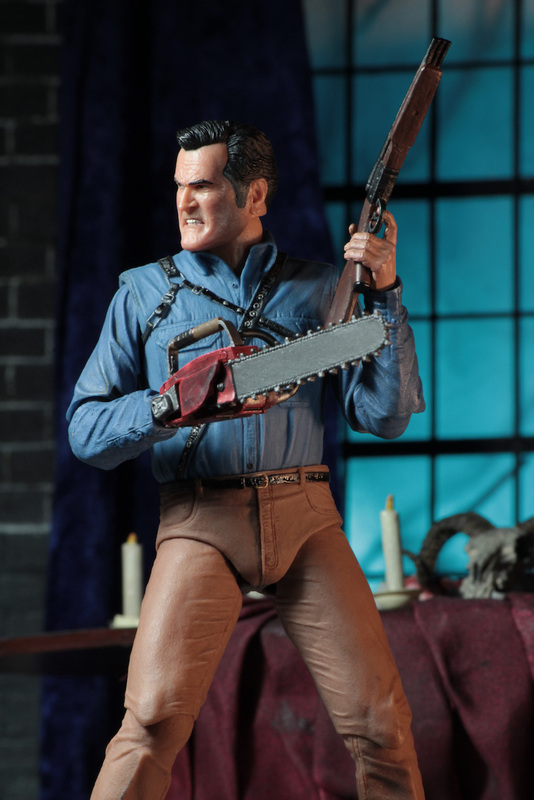 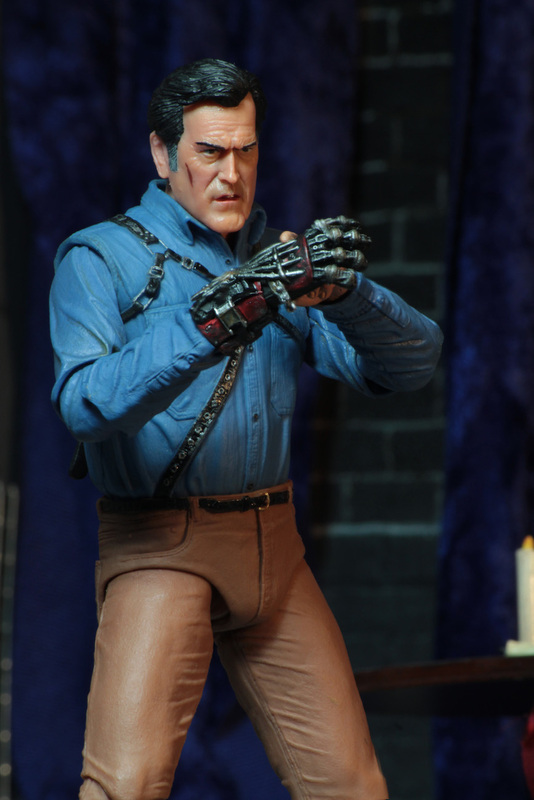 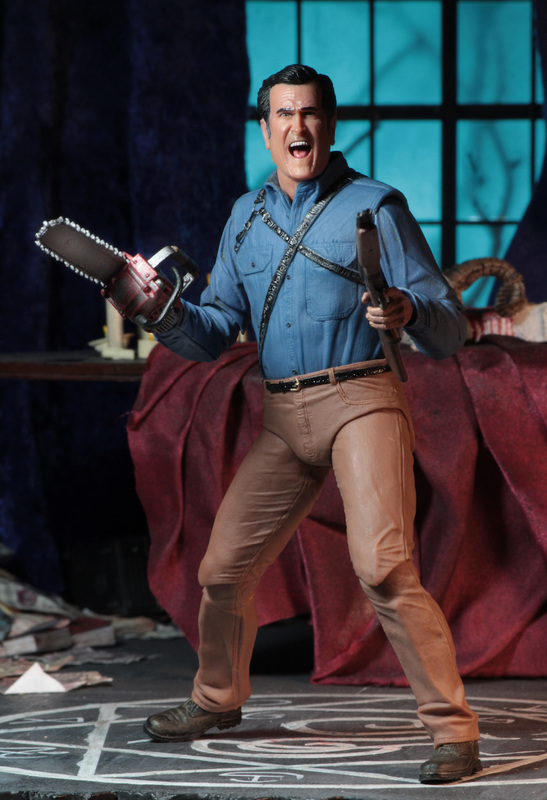 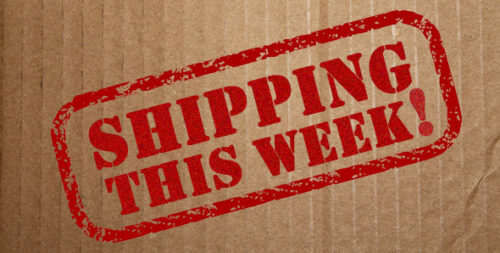 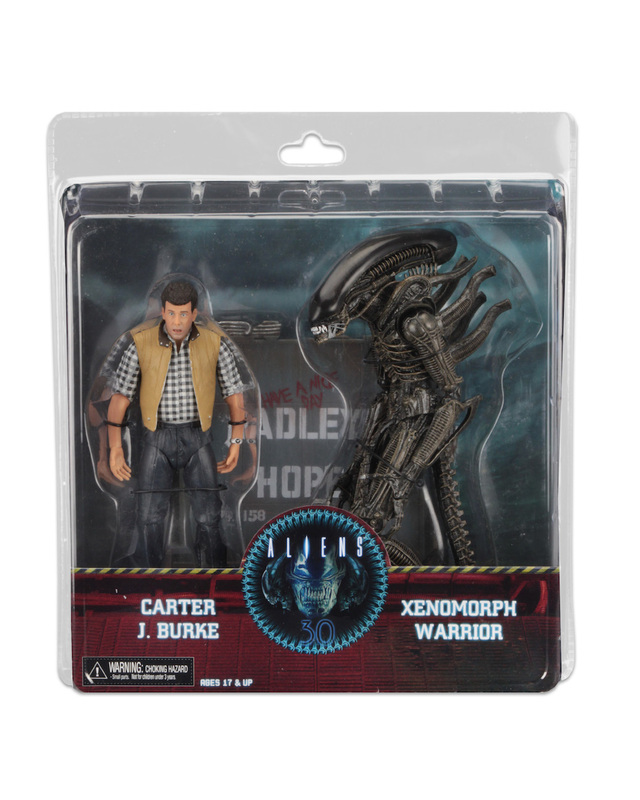 Shipping This Week – 7″ Action Figure Ash vs Evil Dead 2 Ultimate Ash and Aliens Hadley’s Hope Set! 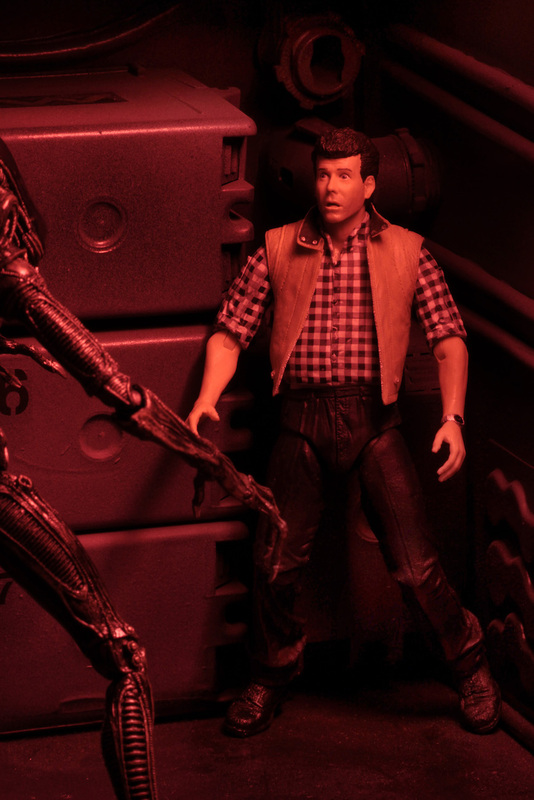 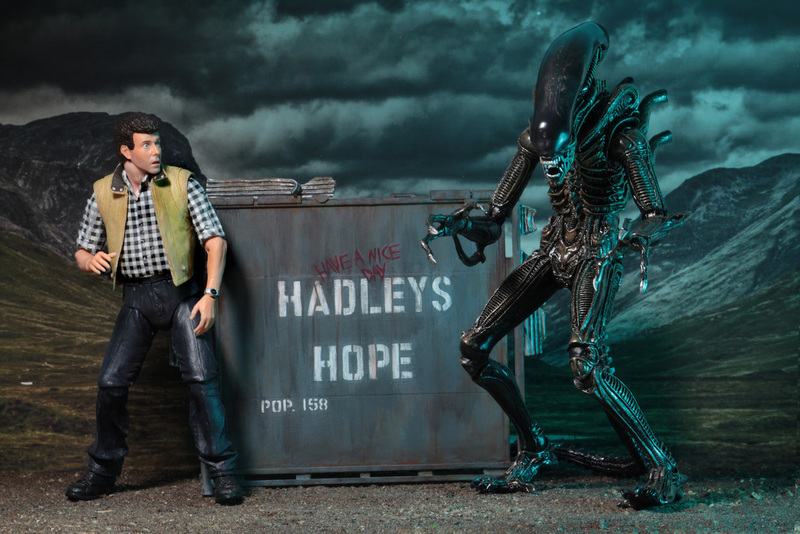 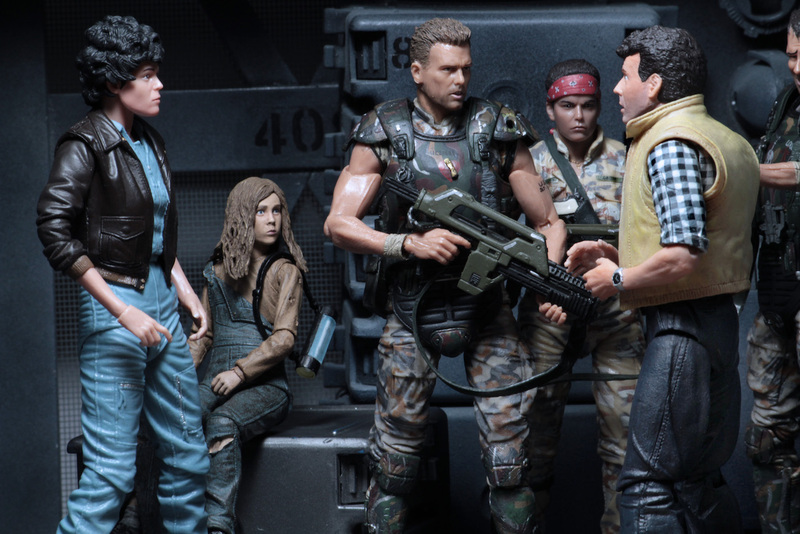 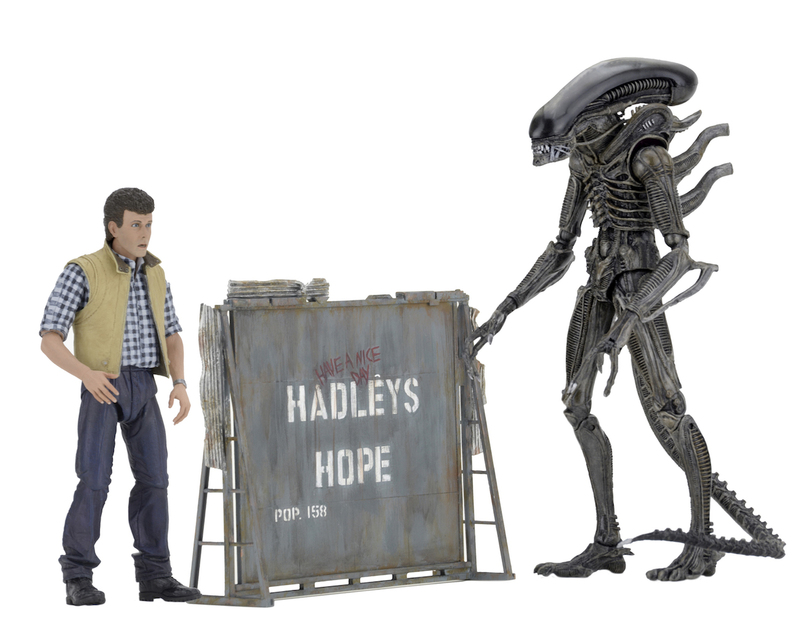 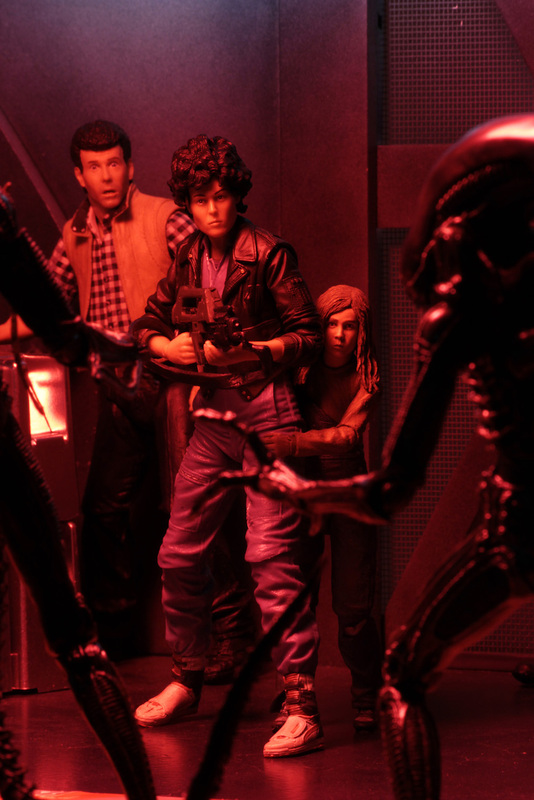 You are here: NECAOnline.com » Licenses » Movies » Alien » Shipping This Week – 7″ Action Figure Ash vs Evil Dead 2 Ultimate Ash and Aliens Hadley’s Hope Set! 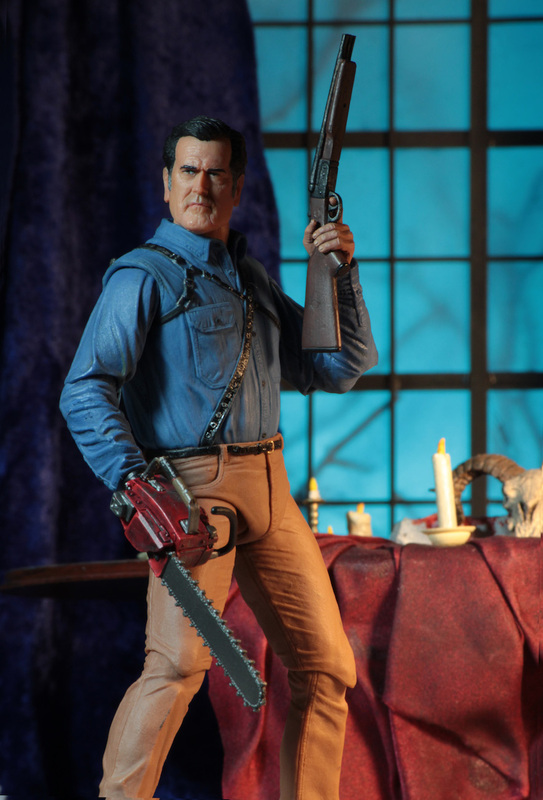 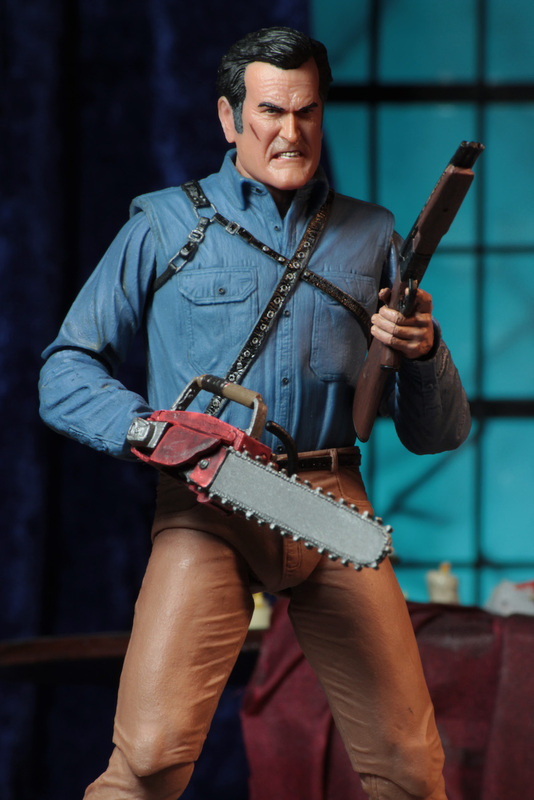 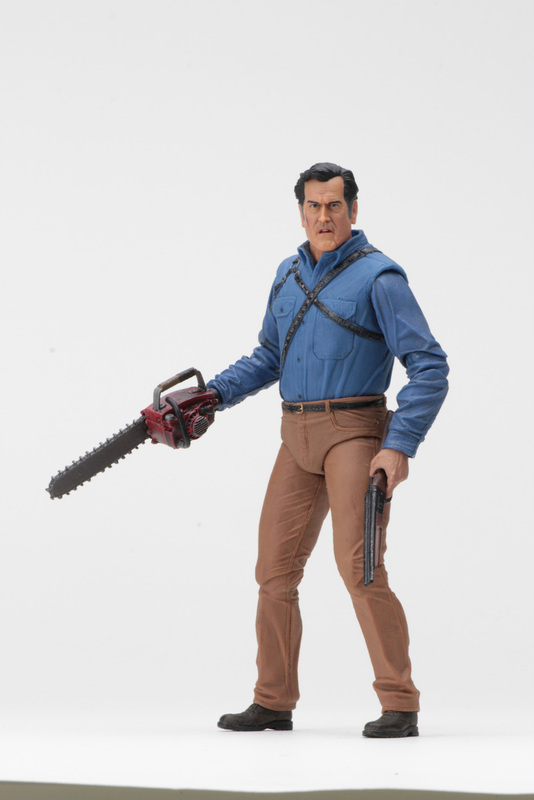 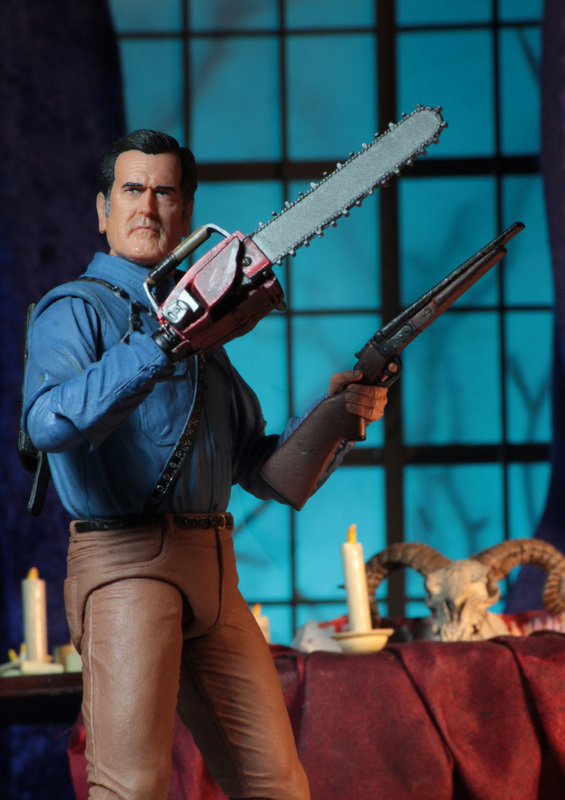 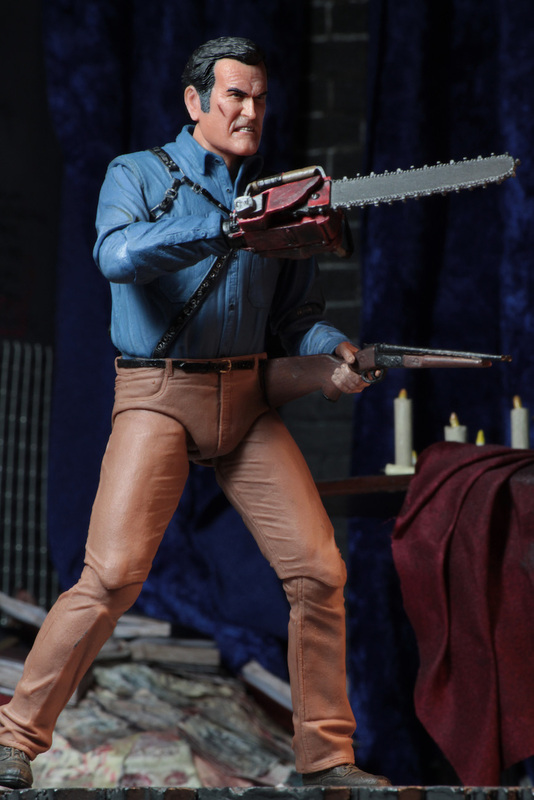 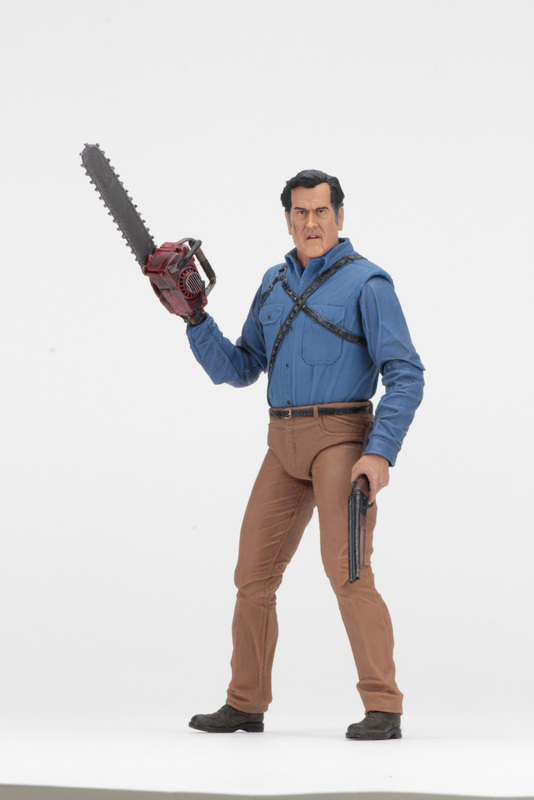 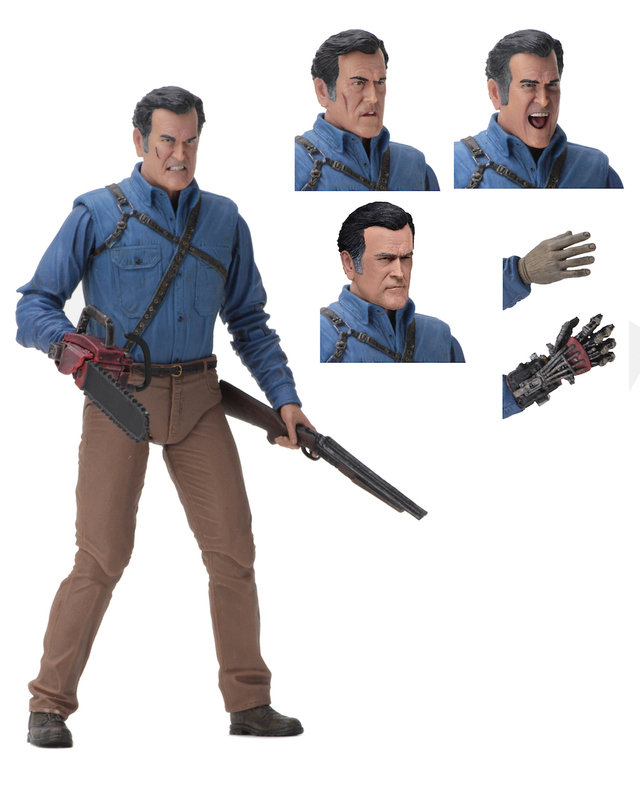 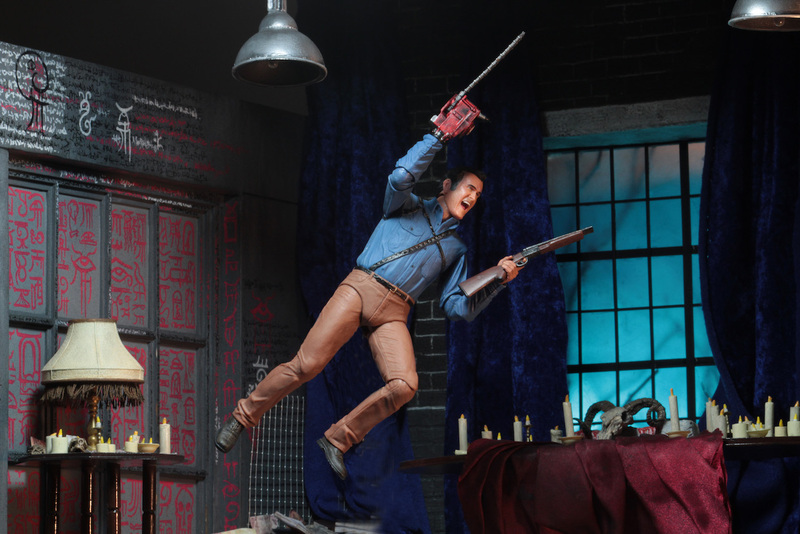 NECA has given Ash the Ultimate action figure treatment—he comes with four interchangeable head sculpts, chainsaw, mechanical hand, wood hand, hand stump, photo of his car, and shotgun that fits in a back holster… Everything he needs to fight a plague of Deadites. 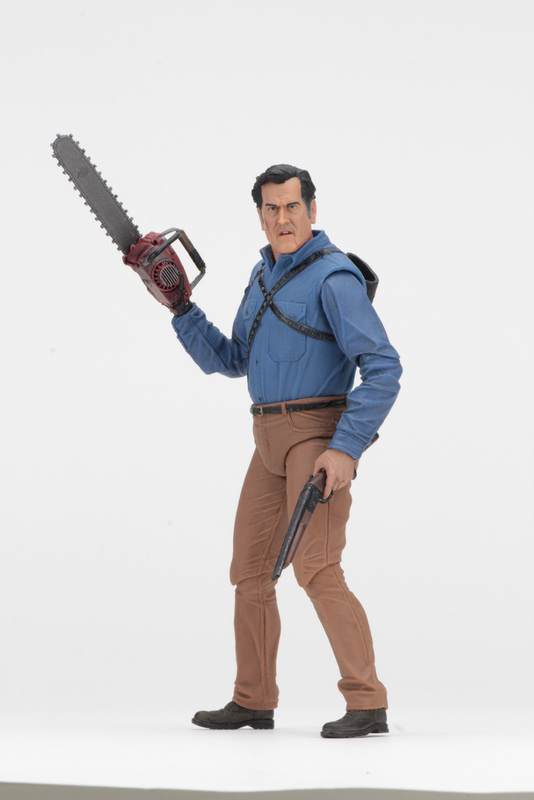 The 7” scale figure is highly articulated and comes in collector-friendly deluxe window box packaging with opening flap and bonus lenticular cover. 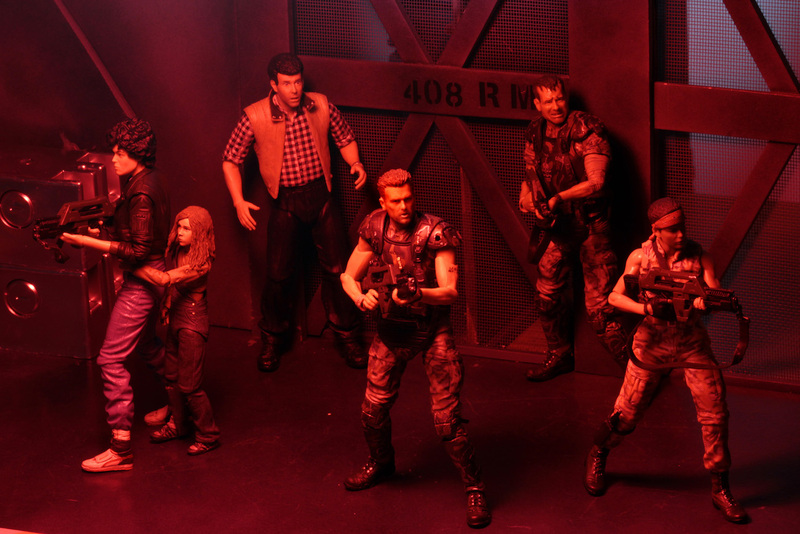 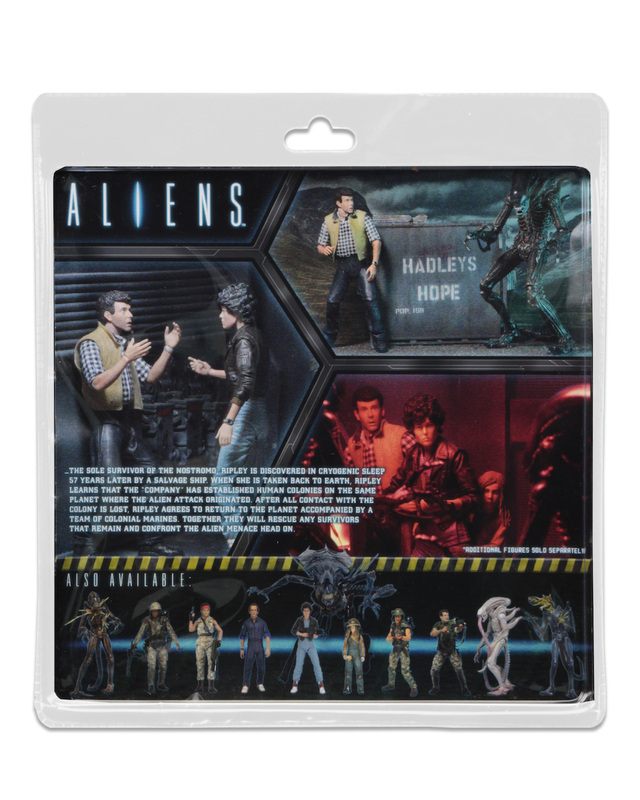 This very special action figure set is themed to the events that occur in Hadley’s Hope during Aliens and continues our 30th Anniversary celebration. 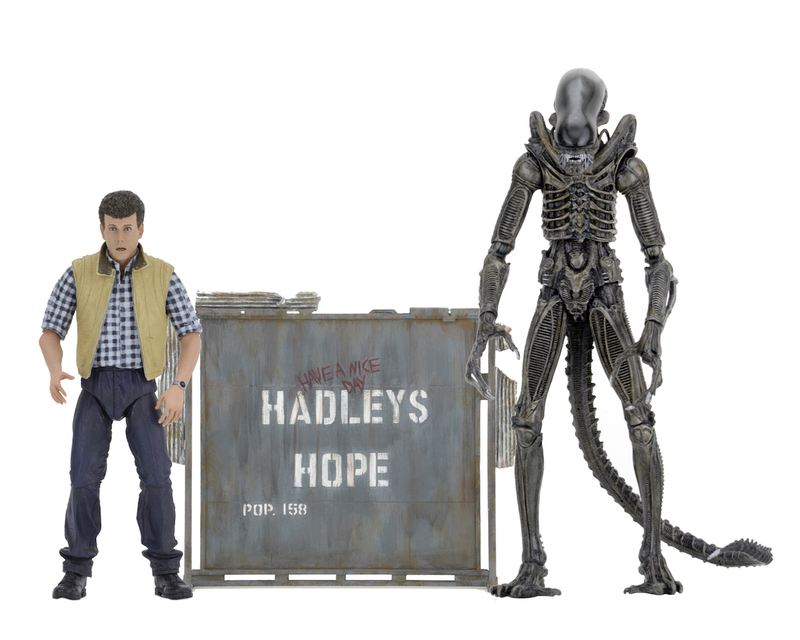 The set includes the first-ever Carter Burke with the likeness of Paul Reiser, a special edition Concept Aliens Warrior with Dome, and a replica of the population sign for Hadley’s Hope. 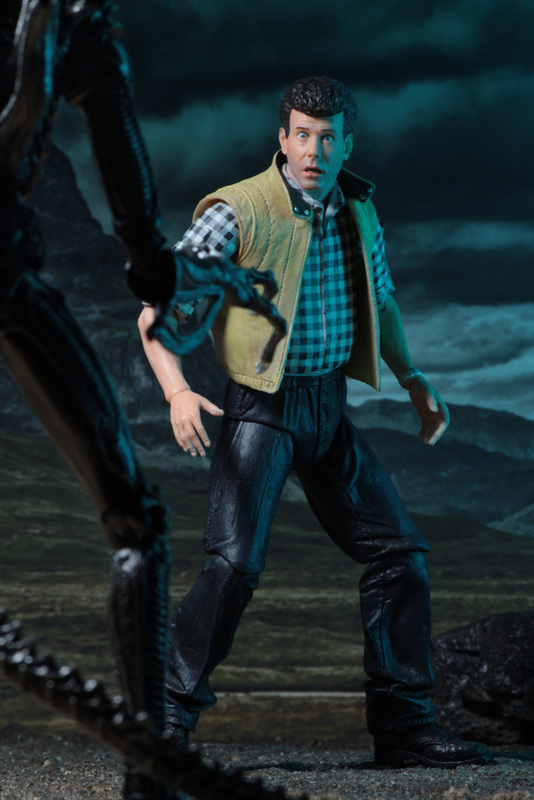 Weyland-Yutani company man Carter Burke makes his action figure debut in this set! 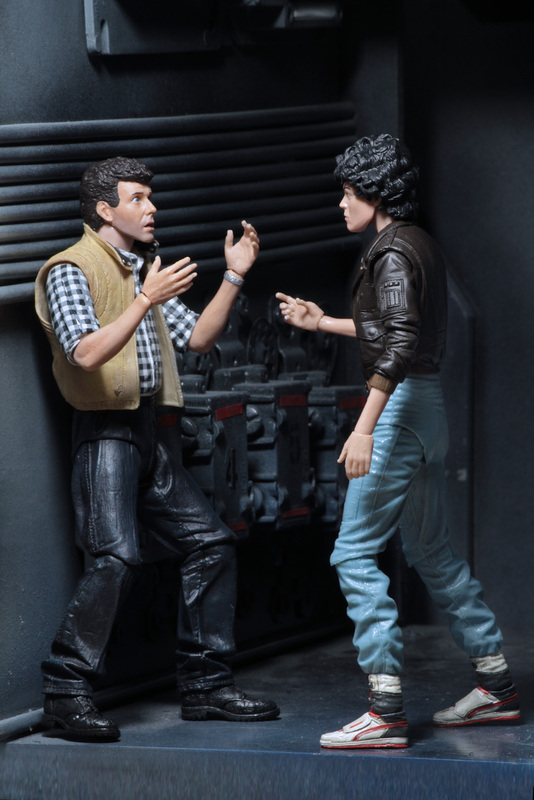 He stands approximately 7” tall, has over 25 points of articulation and features the likeness of Paul Reiser. 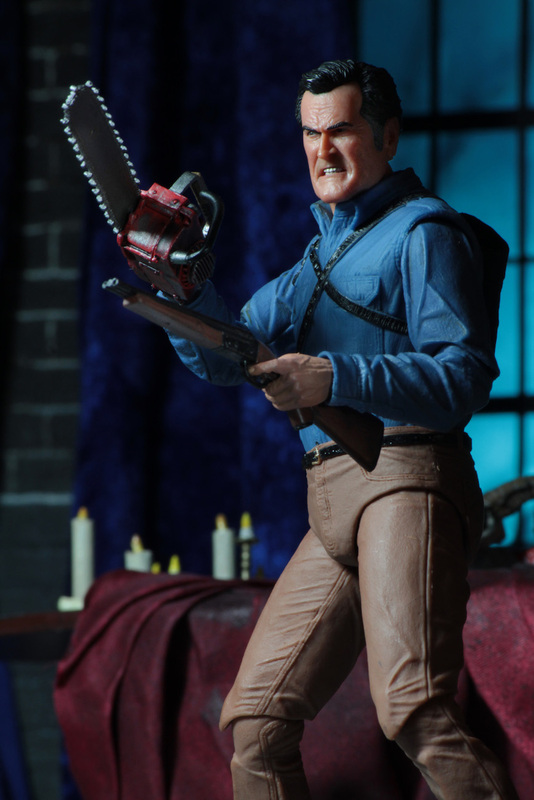 His sculpt is completely faithful to the movie. 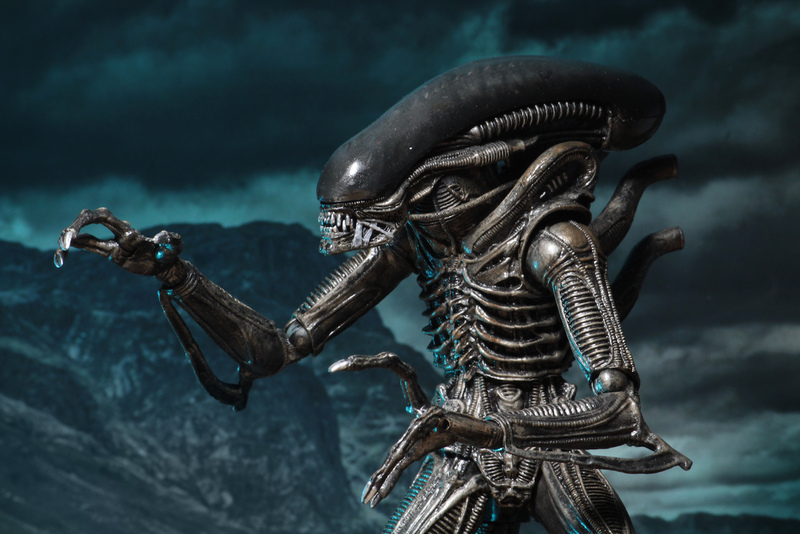 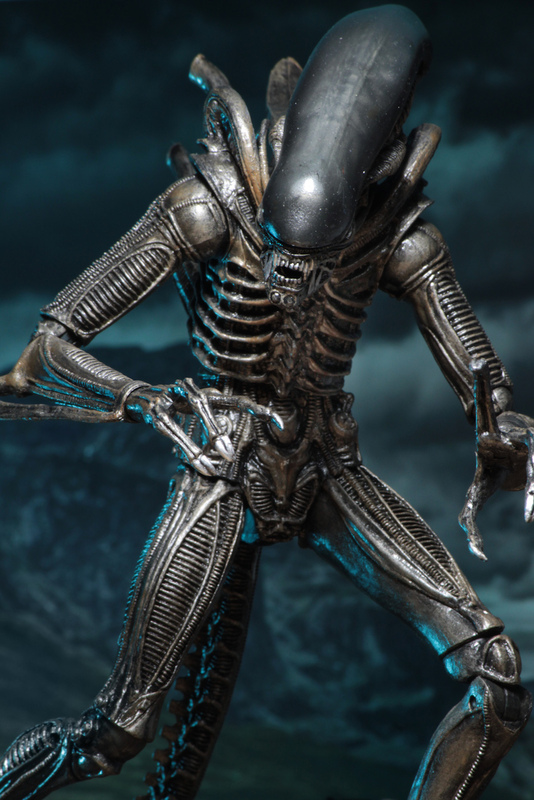 The Concept Warrior is based on James Cameron’s original concept for the Alien, which he envisioned with a semi-transparent dome and in a darker color scheme. 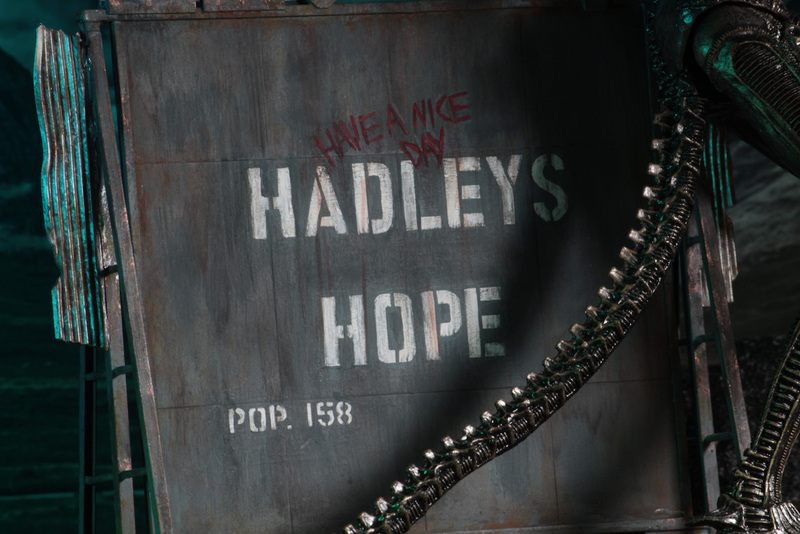 (This was changed early in production.) 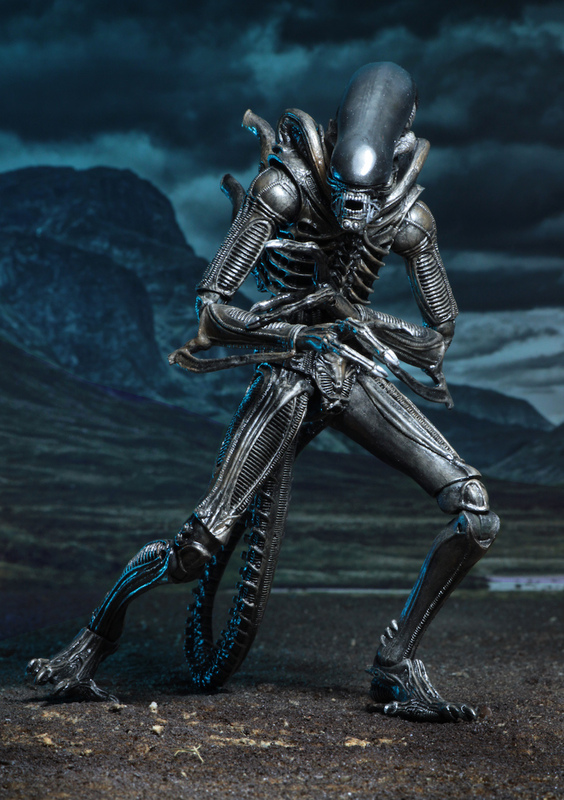 It utilizes the new “Ultimate” Alien body, which has many upgrades, including added articulation and increased range of motion in upper torso and neck, plus a re-engineered tail assembly which provides an additional swivel as well as having a bendable portion. 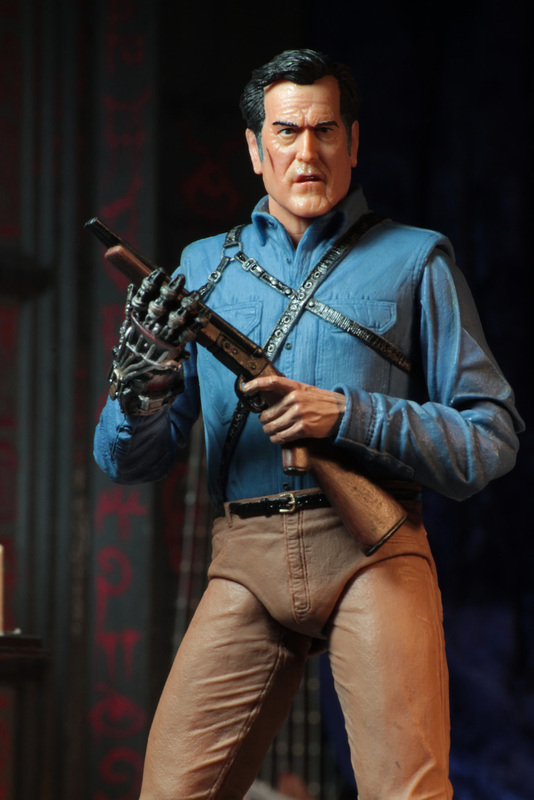 The figure stands over 9” tall and has over 30 points of articulation. 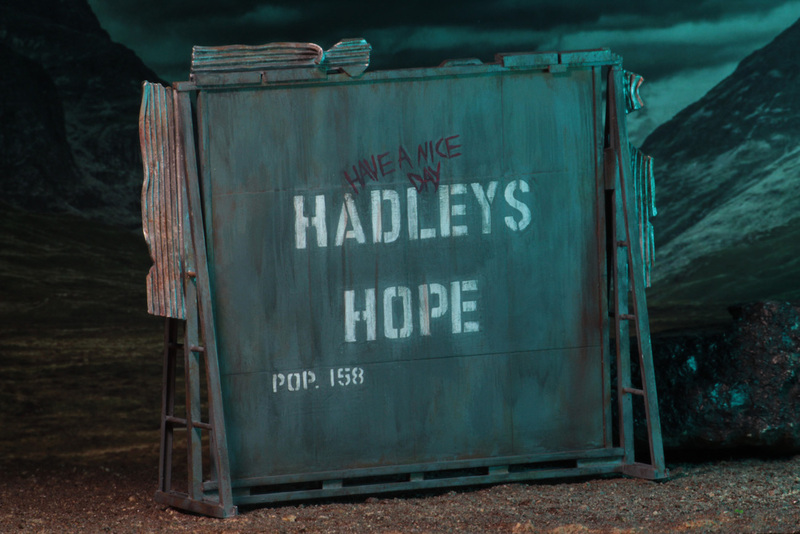 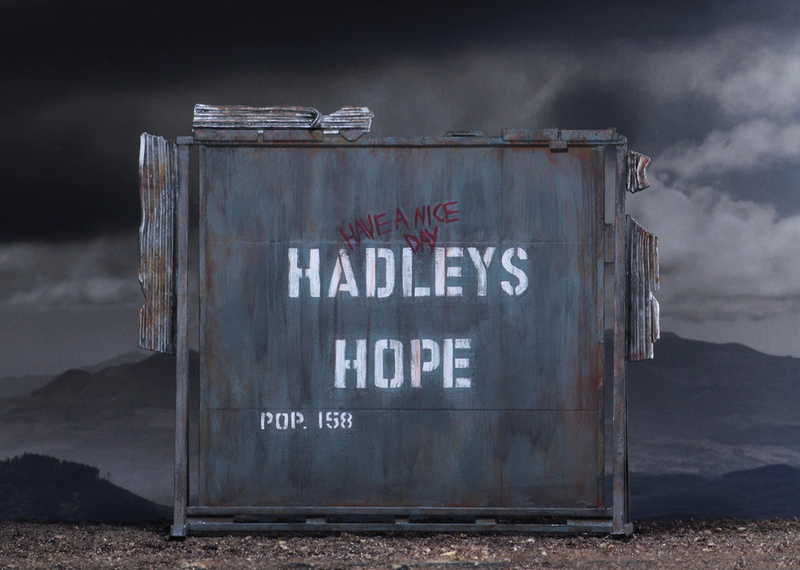 The Hadley’s Hope population sign measures approximately 6 x 6 inches and will make a perfect diorama element. 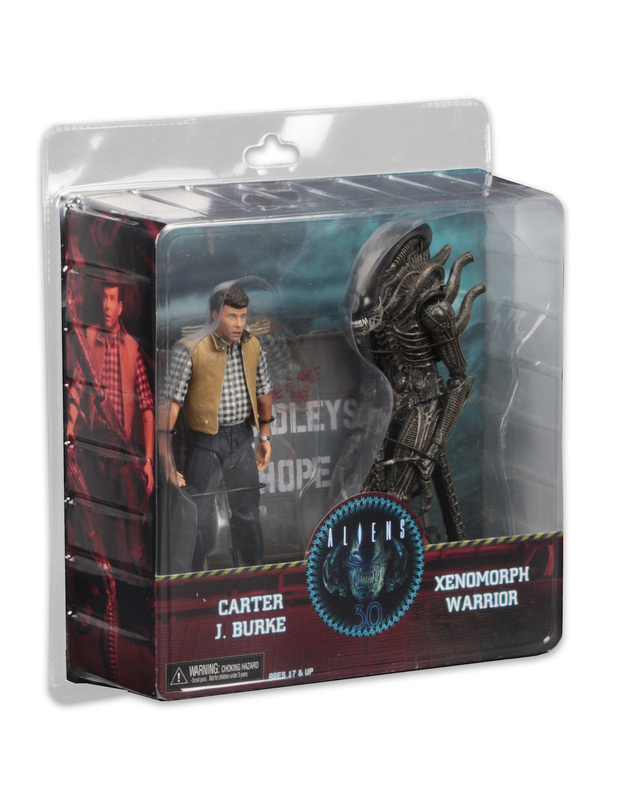 Clamshell packaging. 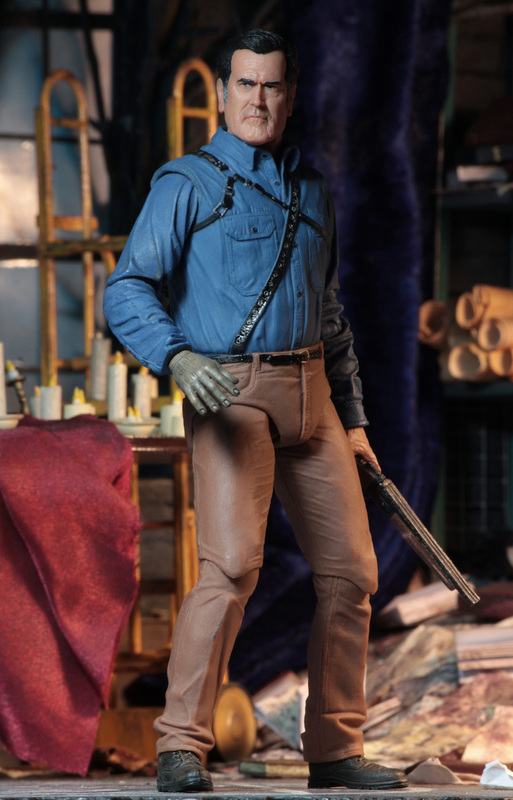 Shipping This Week – Possessed Ashy Slashy Puppet & Santi From The Devil’s Backbone!